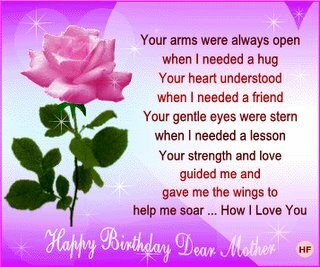 Mama...Happy birthday to you yang ke.......rahsia!!! I wish you all the best, a long life full of happiness and peace. I hope that you can achieve your dreams. 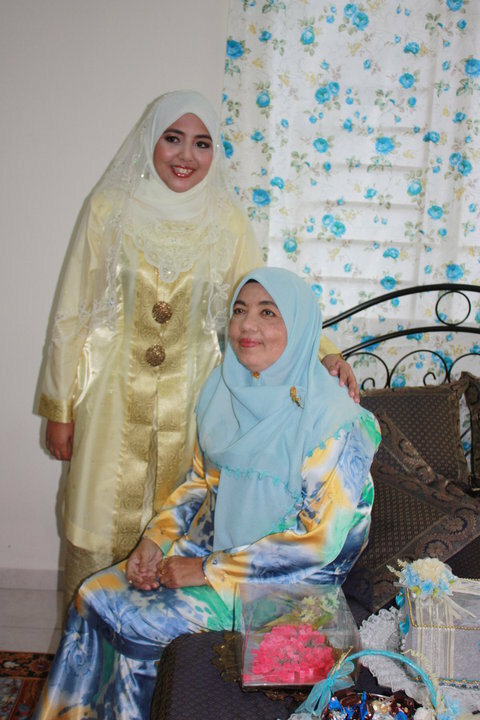 You are the best mom in the world; I am so blessed to have a wonderful, caring, supportive, successful, friendly and affectionate mother like you. You always encourage me to achieve my dreams, you make me feel so special, and you are always there for help and advice. You are my inspiring close friend, I always pray for you. Your sacrifices make you a special mother; I wish I can be a mother like you one day. May your birthday bring your way many precious moments , that you'll cherish as loving memories always , wish you a happy birthday .